Recently this video, Joy of Books, went viral on the Internet. The store, Type, in Toronto (883 Queen Street West) recently underwent a renovation; the owners, with some help from their friends, animated the shelves in this enchanting video. Type reminded me of the time, seven years ago, when I helped to renovate and startup a bookstore in West Philadelphia, Bindlestiff Books, along with Walt, Christine, John, Bill and Alexis. 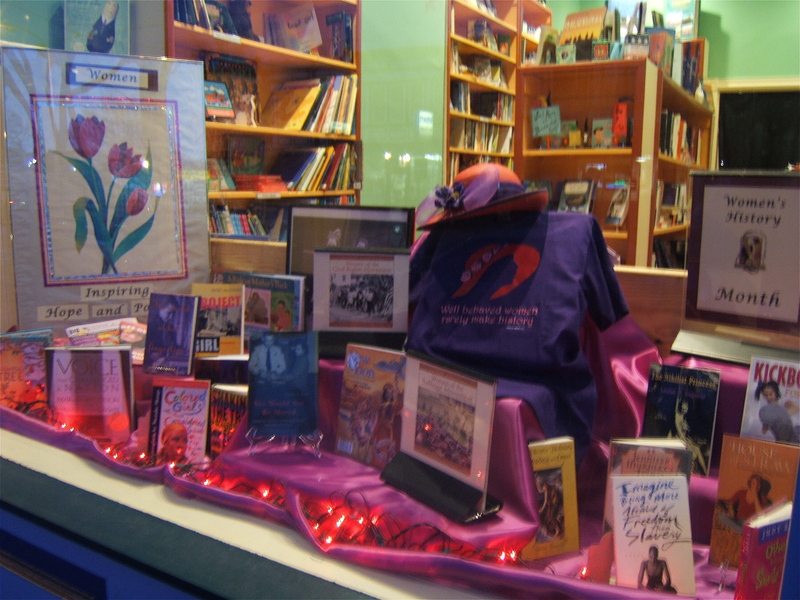 This video shows the IWW National Headquarters’ transformation into the bookstore. Christine and I assisted Jonny Buss, local artist, with the mural on the outside of the door. The mural combines images of books with look of the neighborhood houses. Jonny has completed other murals around Philadelphia including the mosaic project at Cedar park. 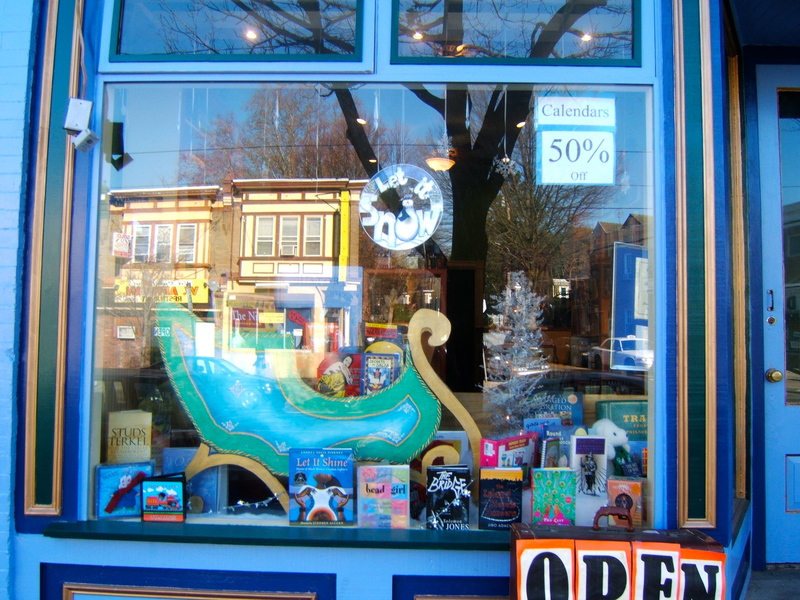 Besides working as a seller, I also decorated the window using a variety of themes. 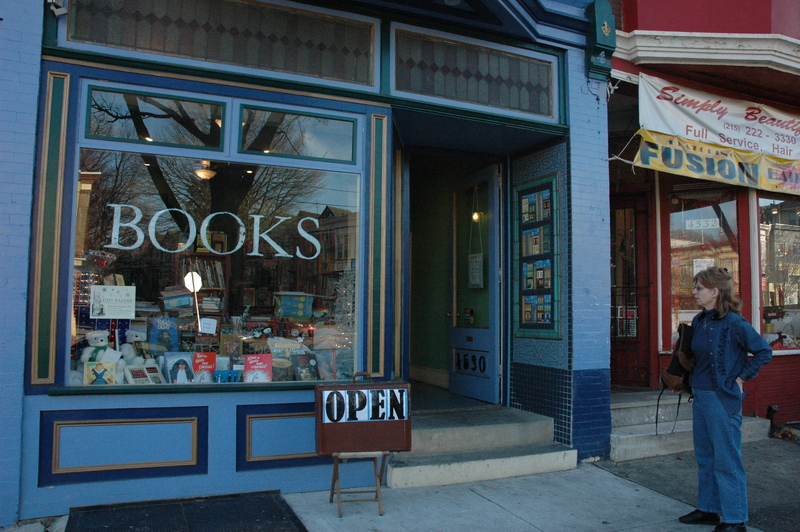 Bindlestiff Books is still thriving today. If you are on the 45th block of Baltimore Avenue in West Philly, please stop in or visit their Facebook.page. They have a wonderful selection of children’s and graphic books. I always pick up a box of their notecards and wrapping paper when I’m in the area. Communities benefit from local businesses, as big box stores are not able to capture the charm and ambiance of these establishments. 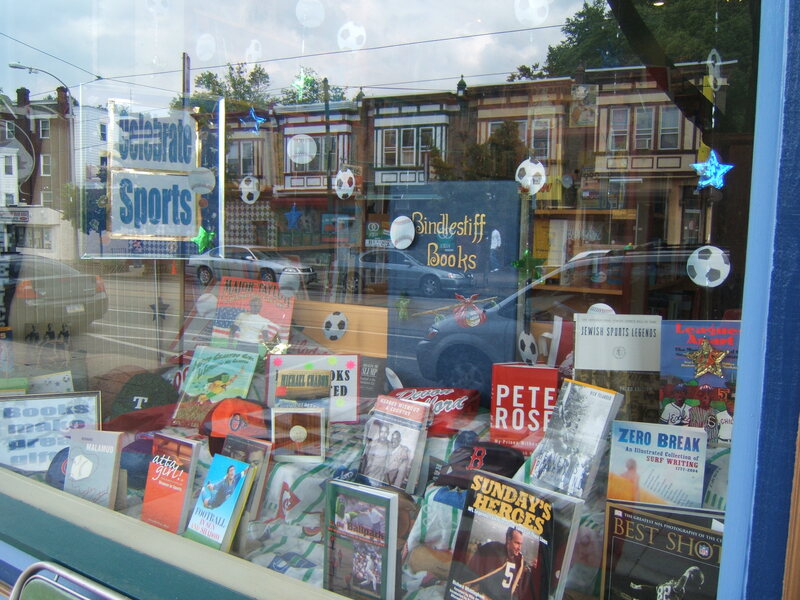 Bindlestiff Books remains a bright spot on the Baltimore corridor.